New test results for emissivity of reflective breather membrane Aluthermo Roofreflex®! New test results prove that the reflective breather membrane Aluthermo Roofreflex® has an emissivity of 0,19. That way 81% of the radiated energy gets reflected. 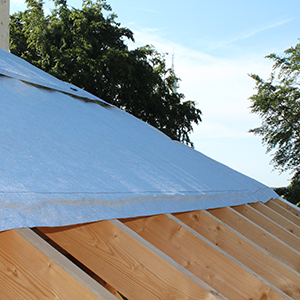 Accordingly Roofreflex® is an even better protection against heat in summer.